The Alumni Committee on Racial and Ethnic Diversity is dedicated to serving Carolina’s multi-cultural communities by engaging diverse alumni in the life of the university, and forging deeper and lasting relationships between Carolina and its racially and ethnically diverse constituents. Four sub-committees—the African American, Asian, Latina/o and American Indian—join together to generate new leadership roles and funding opportunities critical to Carolina’s ambition to lead all public universities into the future of true excellence in higher education. Carolina’s student body becomes more diverse with each entering class, creating a richer and more dynamic academic experience for all students. Every group is unique in its history, traditions, background and experiences, but all are woven together to form the very fabric of this great institution. We invite you to reconnect with your Carolina experience and to discover today’s university as well by becoming involved with the committee’s efforts. For updates from the University with a focus on diversity initiatives and events, visit the Celebrating Carolina’s Diversity page on Facebook and visit our newsletter on the web. ACRED and the UNC Office of Gift Planning was pleased to offer our diverse alumni a free Gift Planning webinar. Elizabeth Ayers, UNC’s Director of Gift Planning, led the live information session which provided an overview of gift planning and the ways Carolina can be incorporated into your legacy plan. Below you can find a recording of the webinar. For more information about ACRED, contact Linda Brown Douglas at 919-843-9393 or linda_douglas@unc.edu. To learn more about Gift Planning at Carolina, visit unclegacy.org. On behalf of the University of North Carolina at Chapel Hill University Development Office, I welcome you to the Alumni Committee on Racial and Ethnic Diversity (ACRED) and thank you for your willingness to serve our great University. Since 1999 this organization has engaged diverse alumni in the life and future development of the University as well as increased its presence in the University community. We take pride in helping Carolina alumni find their passions and make opportunities available for others. For example, ACRED members completed, and topped, the $250,000 Hayden B. “Benny” Renwick initiative to continue the Minority Advising Program and Academic Achievement Awards begun by the beloved Dean Renwick. ACRED members help educate alumni in different parts of the country about the diversity work taking place at Carolina through salons and larger gatherings. Topics have ranged from Carolina’s impact in the Galapagos to a play telling the stories of Carolina’s first black students. One event created Southern Mix, which captures the oral histories of Asians and Asian American residents in the Triangle of North Carolina and of the larger region of the South. Sometimes we impact the campus community in small ways. When Tar Heel Preview Day needed $10,000, ACRED came up with the money to host 250 males from sixth to eighth grades from ethnic and culturally diverse backgrounds in a one-day Carolina experience about the college preparation process. Also, ACRED has conducted a lunchtime Webinar on gift planning to show alumni how to incorporate Carolina into their legacy plans. And we are always coming up with ways to support the work of the University. We depend on you to help ACRED fulfil its mission. 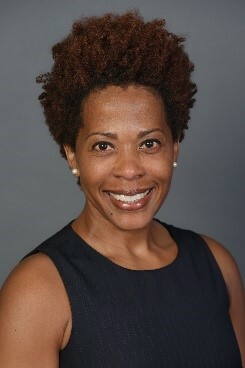 As my predecessor Reyna Walters-Morgan ’99 so clearly articulated before me, it is our hope that you will take the information you learn at our meetings and share it with alumni in your communities. We rely on you to engage alumni of color, whether it is hosting an event or identifying partnerships that ACRED can undertake with other university components. The Campaign for Carolina is an ambitious undertaking, but it is made attainable by a collective effort. ACRED’s role in that effort is diversity engagement, helping diverse alumni and friends find their passions and place at Carolina. We bring more people to the table through our regional events and by individually connecting diverse alumni with the University. We are grateful for you and for your continued commitment to the University. We hope your next three years on ACRED will not only allow you to learn more about the University, but will also motivate you to seek other leadership opportunities on campus, to tell the Carolina story back at home and to find that priceless gem at Carolina that holds a place inside your heart.